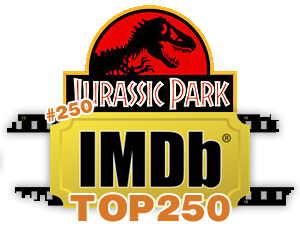 My flatmate Sam and myself have decided to watch the top 250 films of all time on the IMDB top 250 films list. To start us off we’re working from the bottom up! Tonight we’ve lucked out to begin this challenge with Speilberg’s Jurassic Park (1993). This film has been part of our childhood. We had no objections to spend an hour and half of our night to watch dinosaurs wreck havoc on the island, and rip it to shreds ourselves, with a cold beer in hand. 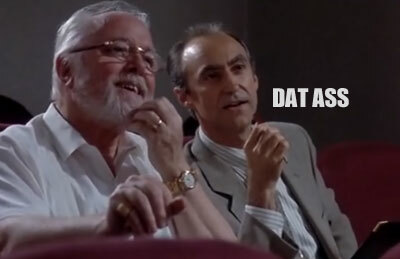 We love Jurassic Park, however it’s nothing without it’s spectacular flaws. Lets get rid of the most obvious one first, the giant ledge that just happens to appear after dangerous introduction of Tyrannosaurus Rex, flipping the jeeps which have been ironically connected to the roads like a giant scale electrix set on the island. Speilberg has been interviewed about this huge flaw and his answer has always been “it’s a movie, get over it”, even trying it’s difficult to imagine. My personal favourite has always been the scene in which everyone is strapped down in the revolving cinema. It takes 3 people to forcibly open and escape the seating barricades, yet John Hammond clicks that barrier as if it was the clip on his wallet. Keep in mind this man is brittle, it’s a struggle for him to kneel down and spurt out random sexist remarks to any females crossing his park. Taking all ember fossils into consideration, how long has this research taken? Dennis strikes a deal with an outside source for a ridiculous $150k, for the only security developer on the island he’s completely clueless about finances, he does comment that his stolen goods will advance the competitions research by 10 years though. 10 years realistically is how I imagine the length it would take to discover one strand of DNA within the millions of ember fossils found, it really doesn’t seem like an easy process that Hammond explains to the team. Fair enough, Dennis is looking out for himself and with a broken relationship with Hammond he goes for the easy option out… his escape however is useless, this is a guy whose likely to be an obnoxious, obese child, tapping away at his computer, sweating profusely which after constant nagging applies for a random techy job on a mysterious island to get out of his parents basement, he’s worked on the security development of the island for years and yet… he still doesn’t know his way around the roads, baffled by a rotating sign leads into his untimely demise. Maybe if he paid more attention to the roads he’s been taking all these years he could have blindly drove his way to the docks untouched. Why do all kids on Jurassic Park movies read published articles from archeological professionals? They’re 10 years old, go read Dr. Seuss. Everyone ends up with a leg injury, they’re trapped on an island inhabited by dinosaurs which incidentally escape and their biggest injuries are scratches on the shins. As for the #250, we’re giving it a 5 for awesome scale but a 1 for believability. On that note, I leave with this.